If ever there is a sequel to Space Jam, consider current Los Angeles Lakers guard Nick Young in — but he doesn't want to be the protagonist. 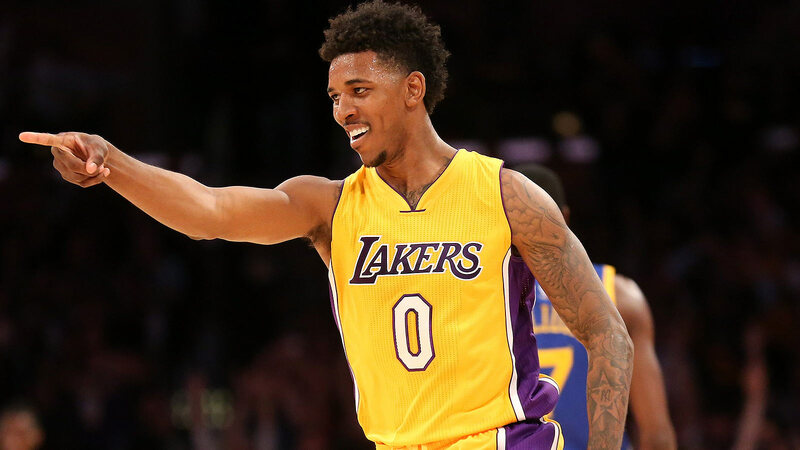 No, Swaggy P told TMZ Sports that he'd rather be a villain. Instead of the Monstars coming to Earth to reign supreme in basketball, however, Young envisions a set of ballers who are trying to steal the powers of the NBA's elite. That's cool. Sure. Sometimes villains get to have more fun and be way more suave in movies, so it's okay to side with the villain. When asked his opinion on who should fill Michael Jordan's shoes in a hypothetical Space Jam 2, however, things got a little weird. First, Young said went with the only acceptable answer: "It should probably go to LeBron," Young said. Then, Young had a rather head-turning response to the idea of Blake Griffin as lead role. "Blake can act. I'll give it to Blake," Young responded before adding, "But he's too, um, beige …" Young then trailed off and started laughing. "He's gotta play like the Charles Barkley role." Back to Young as villain, though. Who would be his sidekick? "Probably Draymond Green, or J.R. Smith, someone you know who don't take no mess." How about Kevin Garnett? "He'd be the leader, right there." It's a lot of Swaggy P to process, that's for sure.